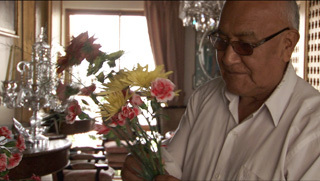 TELL ME ABOUT BIA explores the life and work of the filmmaker's late grandfather Bernardo Batievsky, himself a pioneering Peruvian filmmaker of the 1970s. Through conversations with her grandmother, her mother, and their domestic workers, and using found footage from Batievsky's films and home movies, Franco captures and discovers the parallels between Batievsky's life, his work and his legacy. Filled with affection, the film also looks honestly and incisively at the workings of class relationships in Peru and within the family itself. Race and class relations were persistent themes in Batievsky's films, and have been transferred into this new work. Rather than an homage, the film is an embodiment of themes that have passed on through generations in a family. Born in Lima, Peru, Andrea Franco is a recent graduate from the California Institute of the Arts from a double MFA program in both Film/Video and Art. She recently participated at the 11th Berlinale Talent Campus. 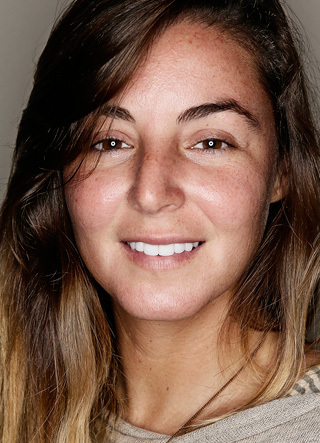 Her work has screened around the world at festivals and venues such as 15th BAFICI, Lima Film Festival, Flaherty NYC Screening Series, REDCAT Los Angeles, Matadero Madrid and at MALI, Lima Art Museum among others. She currently lives and works in Los Angeles, CA.